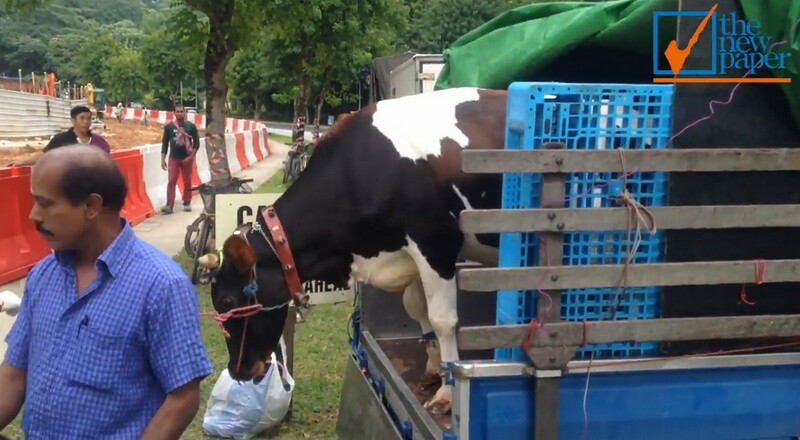 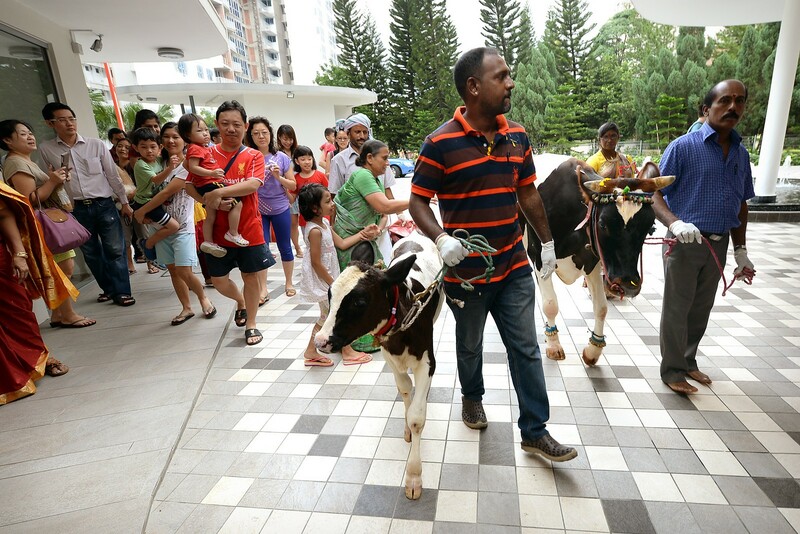 A cow and a calf led a procession of about 40 people through the estate. 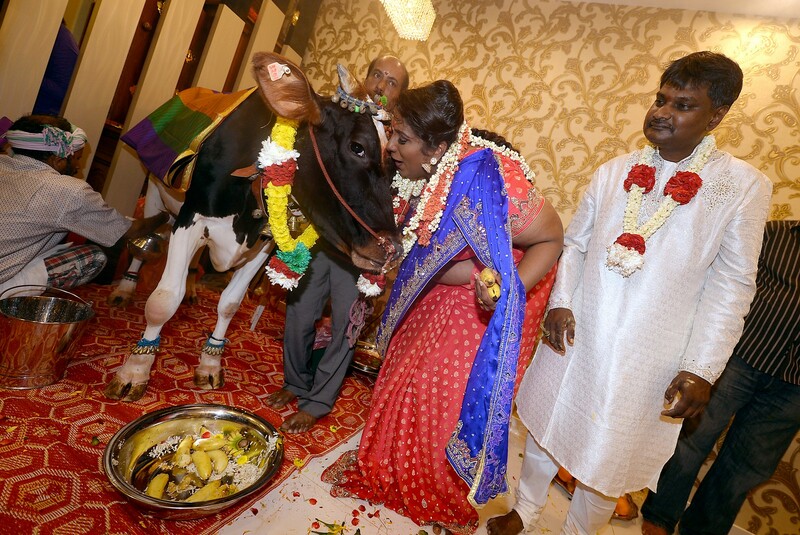 The family had just moved into their new home and the cows were there to do a house blessing. 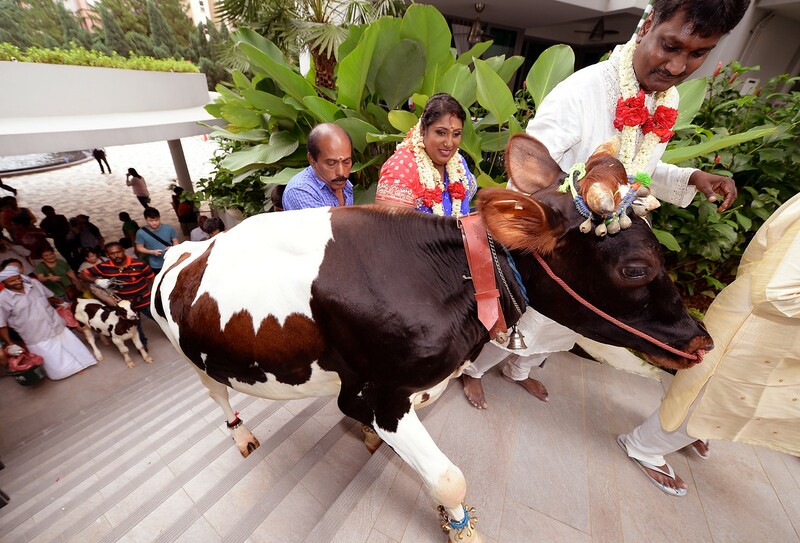 Mrs Sri Vanitha, 35, was delighted at the arrival of her "guests" to her newly-renovated home. 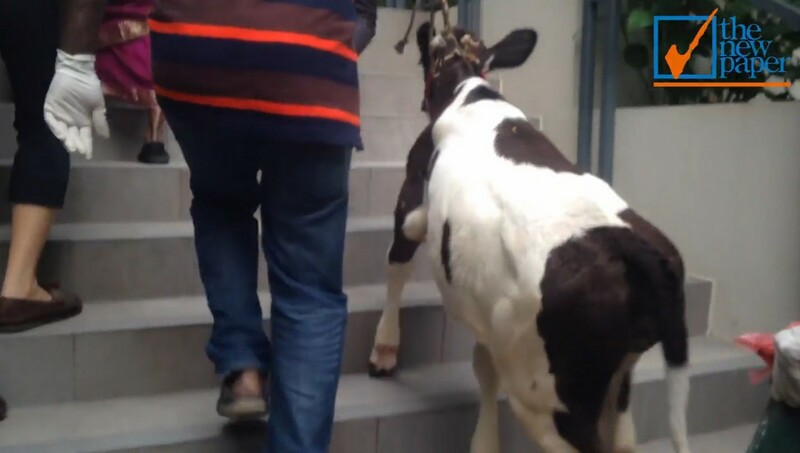 She was even more pleased when the cows let loose almost immediately - dropping faeces and splashing urine all over the living room floor. 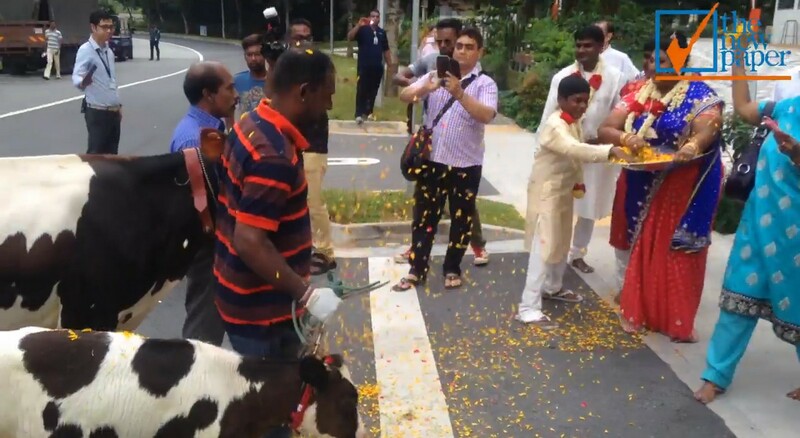 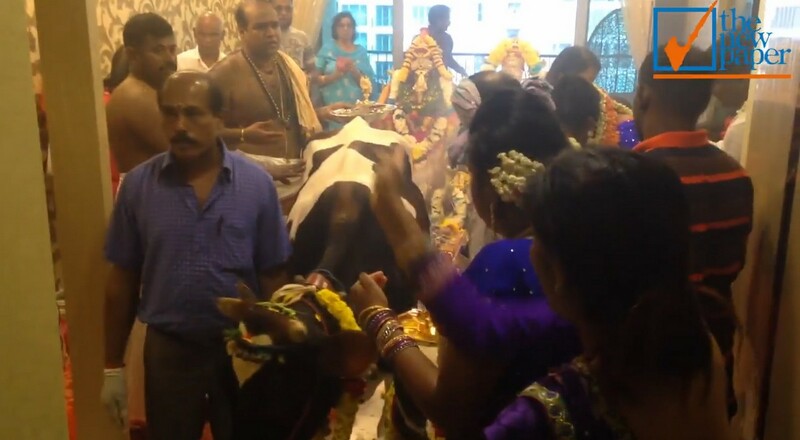 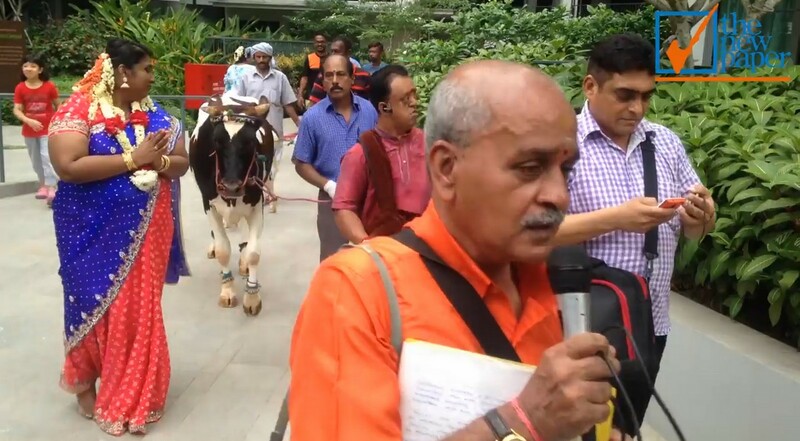 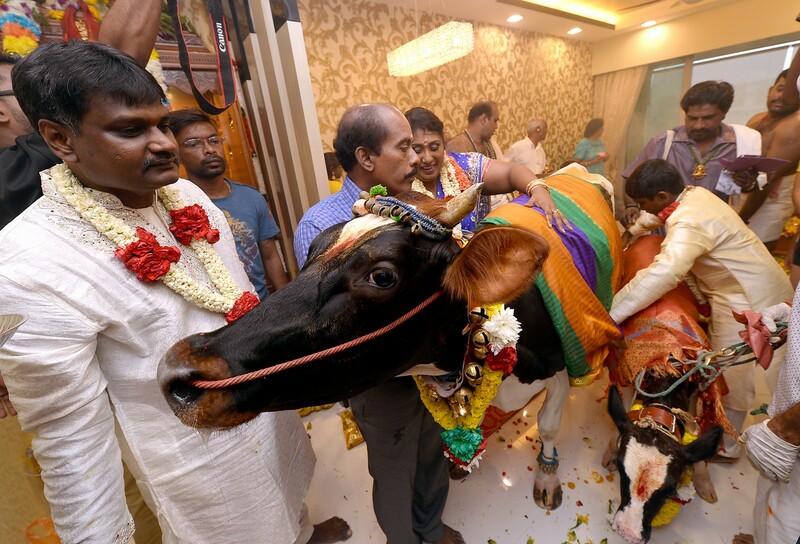 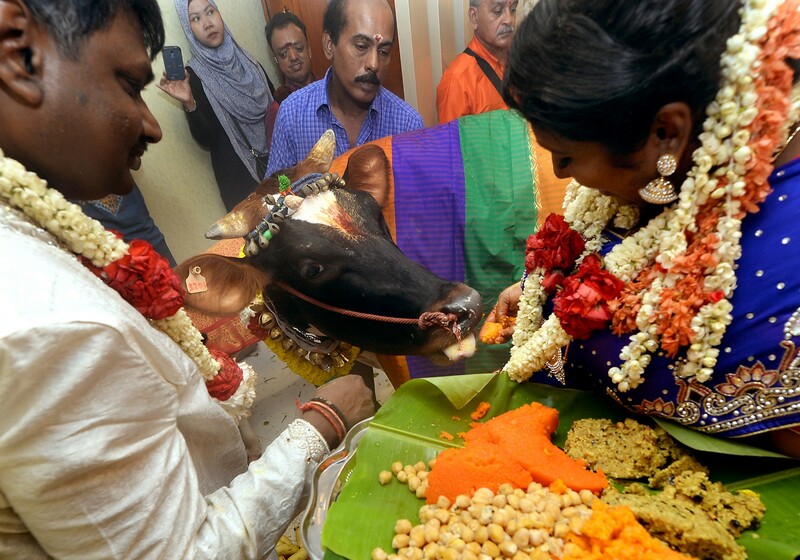 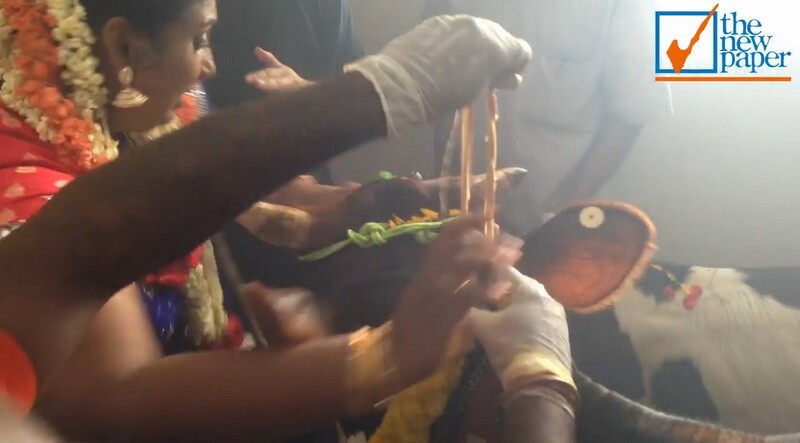 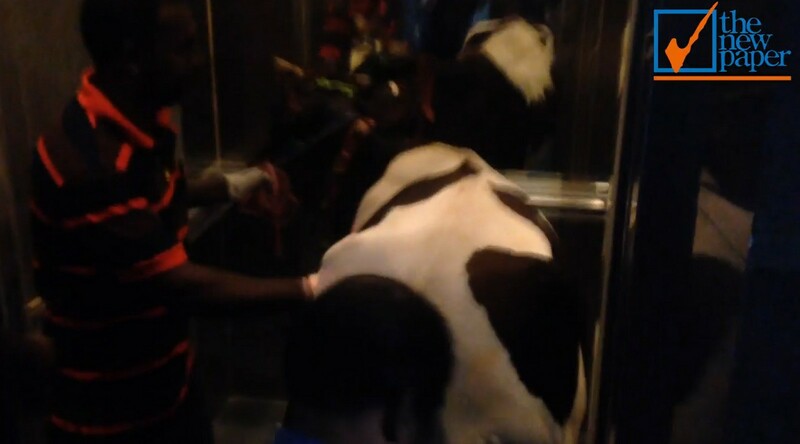 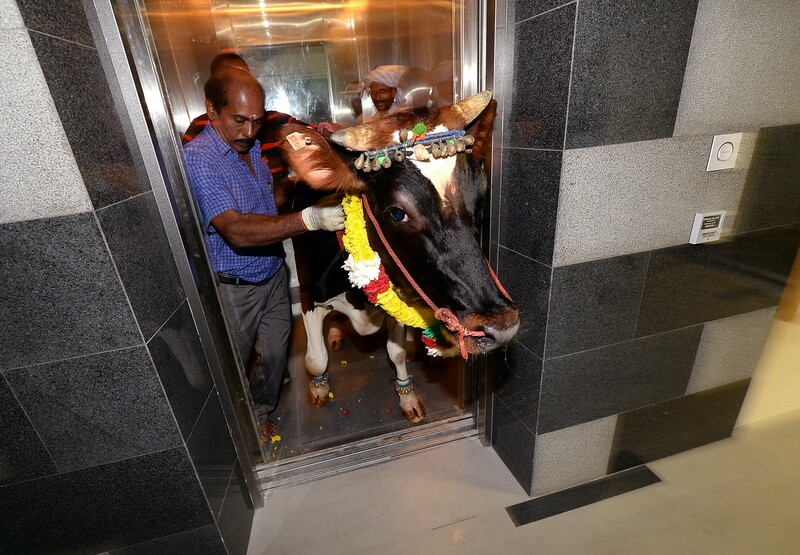 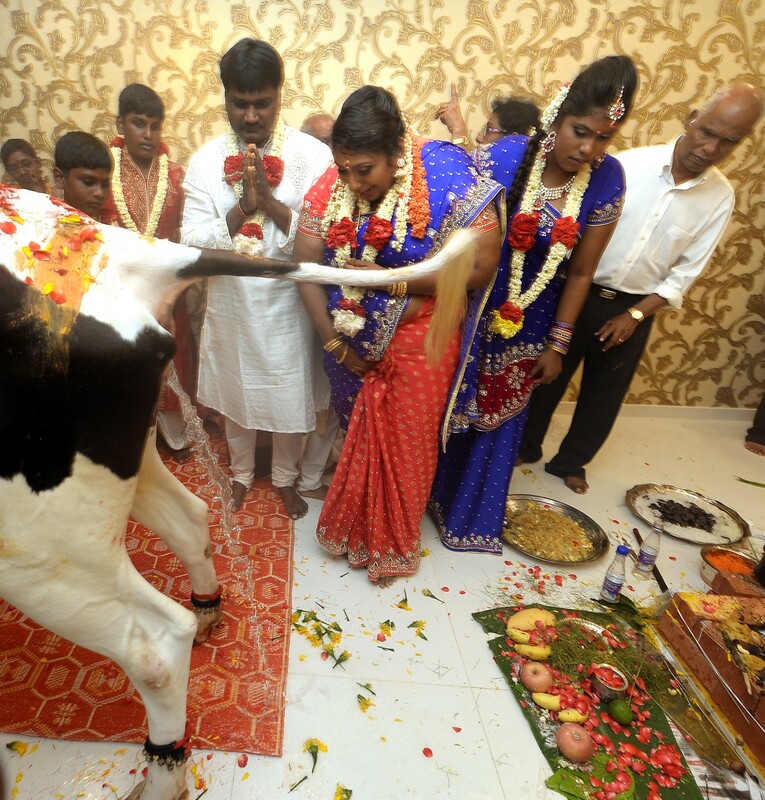 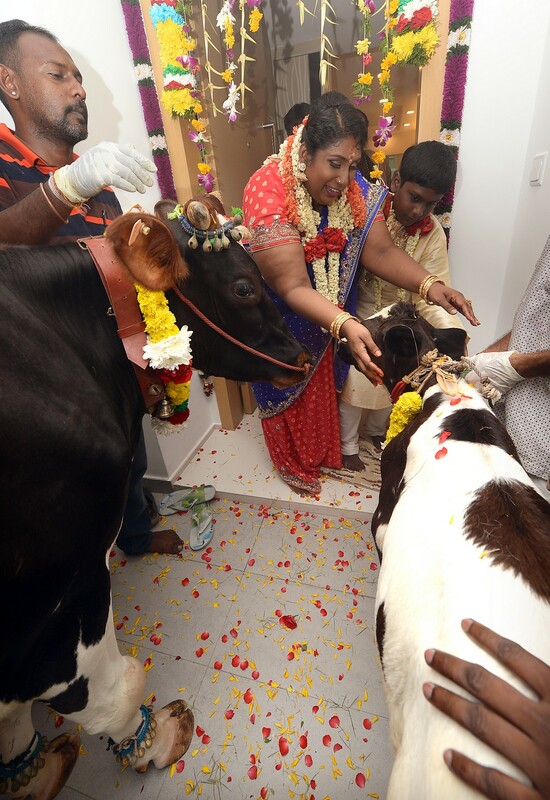 As the cows were walked through the rest of the three-bedroom unit to give more blessings throughout the home, the neighbours and their children followed, keen to take pictures and witness the ceremony. 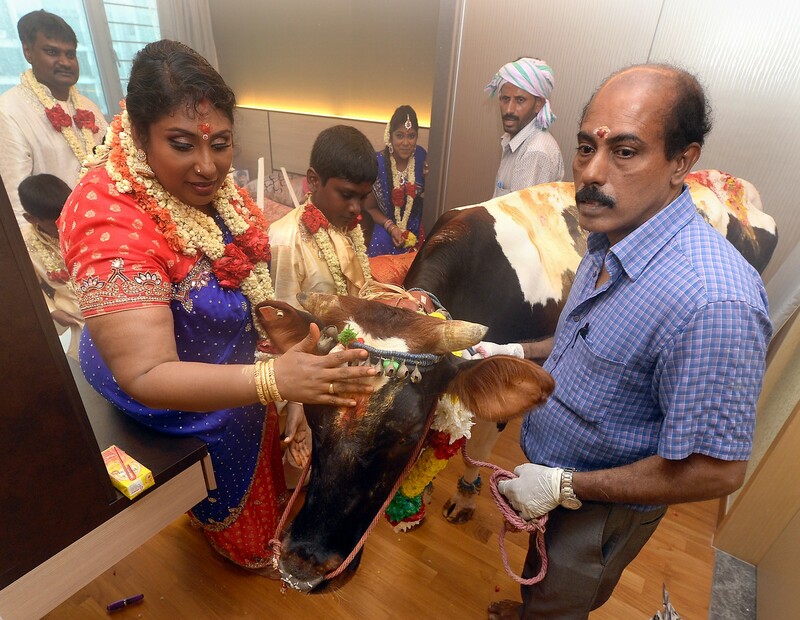 One of the neighbours, Mrs Sooria Kala, 55, a senior administrator, spent an hour in the morning preparing for the housewarming. 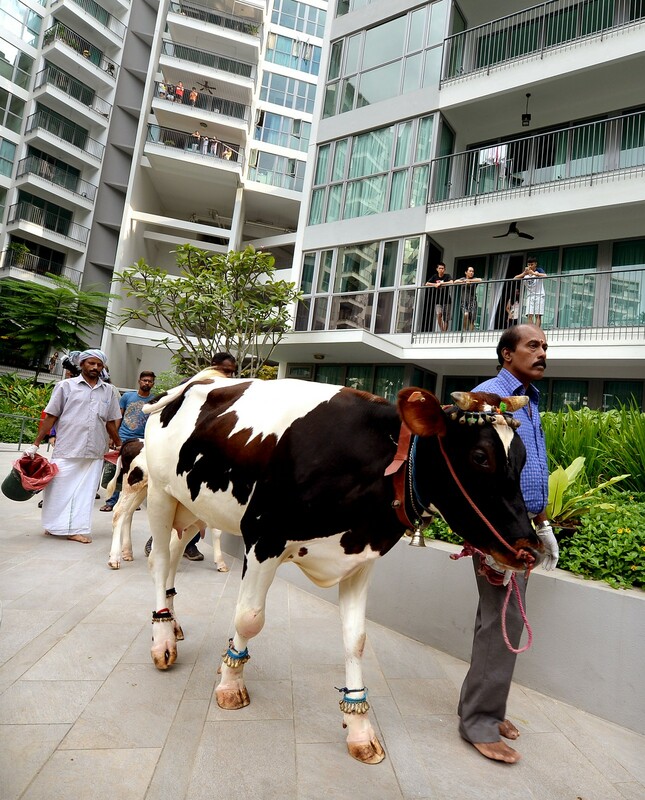 "It's usually done in landed properties because it's quite a hassle." 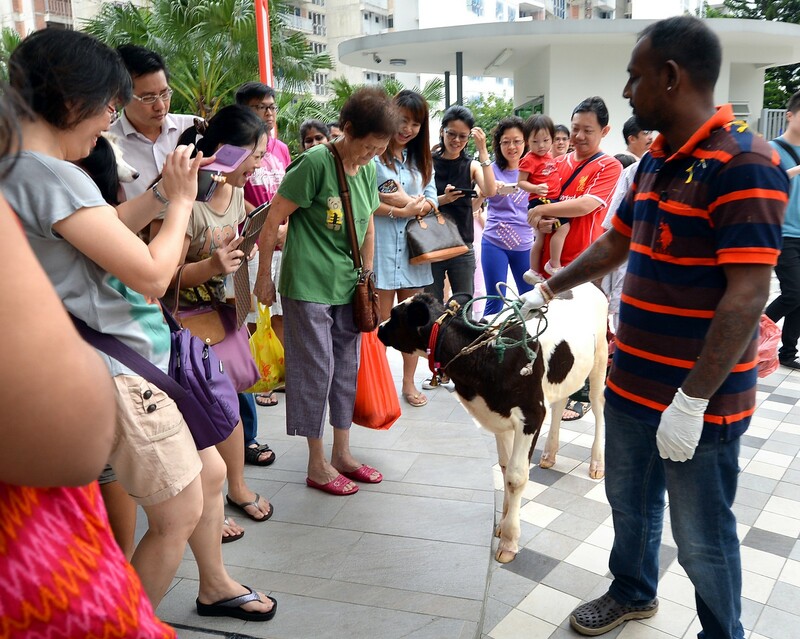 "It's also nice to support our neighbours since we'll be staying in the same block." 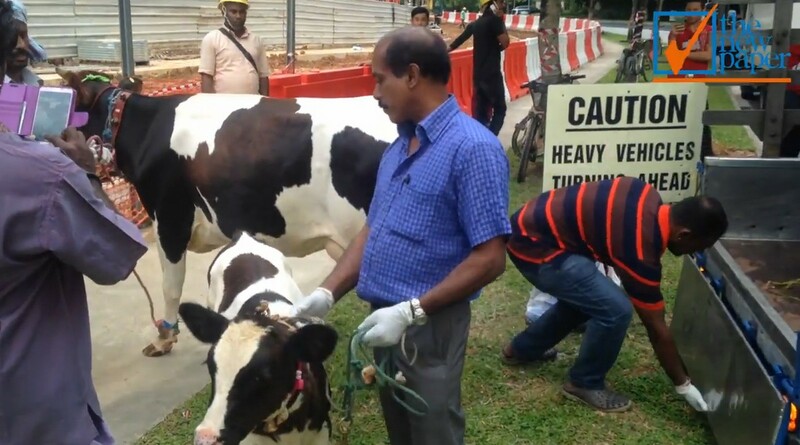 Mr Shaiful Sukaimi, 48, the chief security officer of the premises, said it was his first time having to do crowd control for cattle.